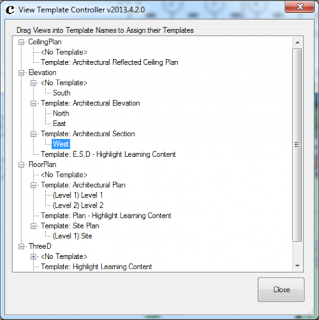 "The View Template controller is a simple tool that enables you to visualize and change View Template assignments for views in your model. 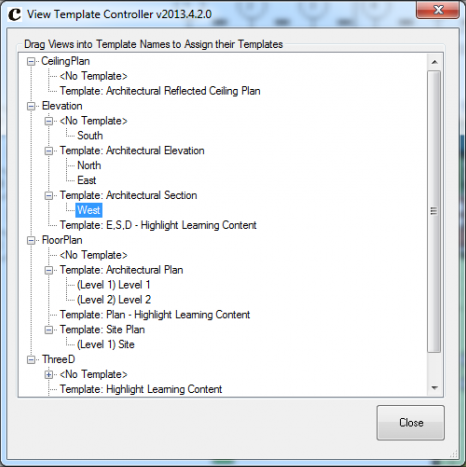 Just drag and drop views onto a View Template name and your views will update instantly taking on the new view template settings." There's more information about this free add-in on the CASE Apps website.